The Contribution of Senior Managers To Corporate Governance. Presented at 7th Workshop On Corporate Governance Brussels, Belgium, June 21‐22, 2010. "The relationship between senior managers and the board is perhaps the most curious in all of corporate governance –recognised as critical, invisible to academics, absent from education and, all too often, reviled by the participants." 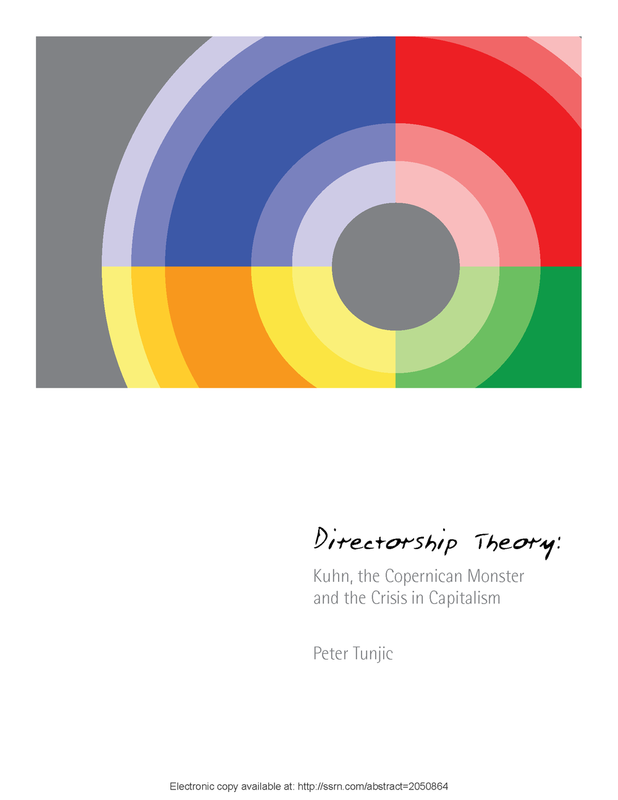 "The current state of corporate governance and the emergence of the global financial crisis parallel a much earlier crisis that inspired Kuhn to develop his theory of paradigm shifts. That crisis was the revolution in planetary astronomy that took place in 1543.
discrepancy corrected in one place was likely to show up in another.” (Kuhn, 1972)"
"The game plan connects the team to the objective. It provides the invisible mechanics that makes success possible. Who’s on the field, their role and approach to the game deliberately revolve around whether the team is in offence or defence and the state of the game. Indeed, wherever there is shared endeavour to a common objective you tend to find natural and logical mechanics that describes who does what, when and how. Whether on the playing field or within the boardroom, a talented team will only be as good as their game plan." "When directors work toward the mercantile objectives of the corporation they’re practicing directorship and the Tunjic Offence describes the better strategy and tactics. The Tunjic Offence concentrates on the missing mechanics in the boardroom and connecting these to the goal of better promises and a stronger, more resilient and enduring corporation." "The corporation is a near perfect idea. How better to raise the standards of human existence than create a vehicle for collective aspiration, endeavour and ingenuity. And though, in the hands of the thoughtless,corporations do bad things, this is a reflection of the human condition and is not a condition of incorporation. The corporation is capitalism’s great innovation and it’s being hijacked." "Best practice in corporate governance produces too many‘governors’ focused on protecting value and not enough directors focused on creating it. Public companies have become over governed and under directed because corporate governance regulation and education is designed to ensure the ‘correct’ board structure, process and composition rather than ensure ‘imagination, creativity, or ethical behavior in guiding the destinies of corporate enterprises’".